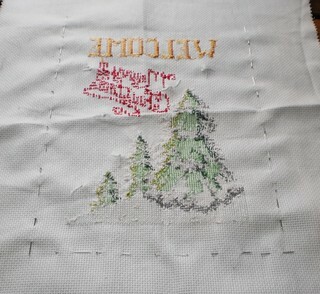 It's time to knuckle down and finish this banner. 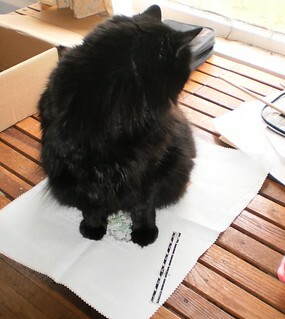 Step 1: Get the finished piece and the backing material approved by a cat. Step 2: Pin the front to the back. 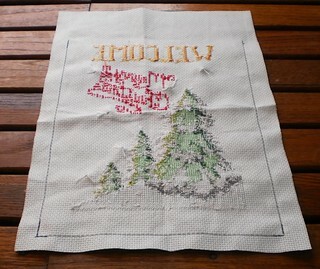 Cross-stitch fabric, with its grid, makes it easy to stay the same distance all the way around the piece. 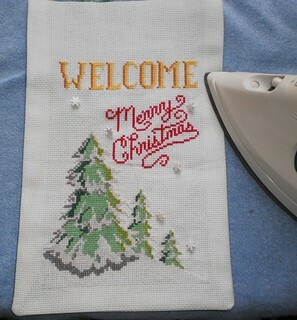 Step 3: Go get the sewing machine which you put away after finishing those Christmas gifts last year. 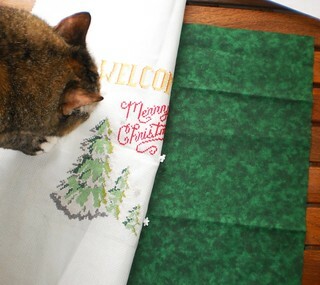 Remove the cat from the piece, put the piece off to the side and set the sewing machine on the table. Marvel that the machine really is quite light and it's not a chore to lug it from room to room. Attempt to plug in the machine and finally remove glasses so you can see that you really are trying to plug the foot pedal into the power port. Step 4: Turn on machine and sew a 1 inch seam all the way around the sides and bottom of the piece. 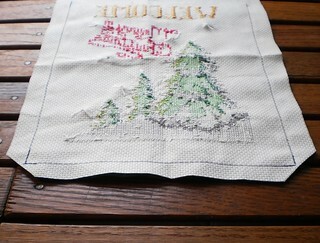 Stitch over the corners to reinforce. Step 5: Put the sewing machine away. 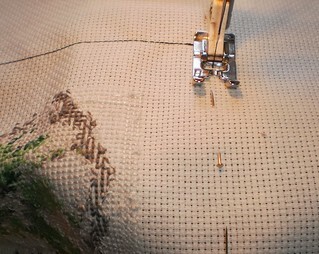 Then trim the sides and bottom to within 1/2 to 1/4 of an inch from the seam, whatever you're comfortable with. Don't trim the top. That will be done later. Step 6: Trim the corners and turn the piece right side out. You may have to trim a bit more from the corner to get a decently square corner. Somewhere, I have this tool that helps make square corners but I have no idea in which box I'll find that. Step 7: Press the banner. Step 8: Lay the dowel over the top of the banner and decide how much you need on which to hang it. You will want an adequate extension on both sides. I've chosen 2 inches on each side. 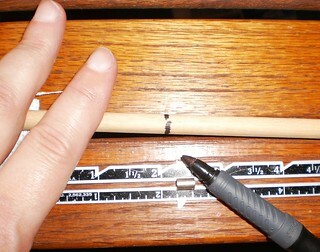 Step 9: Using a marking pen, mark where the dowel is to be cut. At this point, I have to wait because Pam's husband is going to cut the dowel for me. I would have to resort to a saw and I won't get a finished edge. Don has the proper tools to make a nice smooth cut. Next week, I'll show how I finished this. 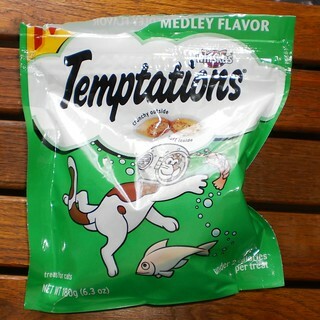 For easy cat removal, I use Temptations. Four placed in her box and she left me alone to finish this. I also had to give Mija some. Temptations. Bribery at its best.